Many have the wrong idea that God the Father is a very strict Person and that it is only Jesus Who loves them. This is a distortion of the truth. It was the love of the Father that sent Jesus to save us from our sins. Jesus told His disciples, "The Father Himself loveth you" (John 16:27). He also told them that if their Heavenly Father fed the birds and clothed the flowers, He would certainly take care of them. There was no need for them to be anxious then, for their Heavenly Father knew all their needs (Matthew 6:26-34). 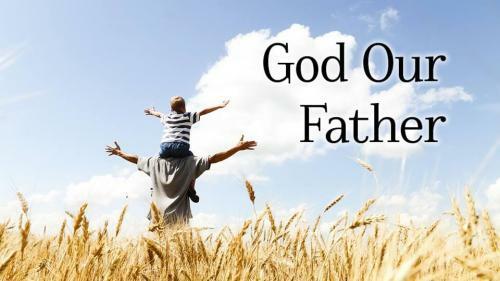 He also told them that if earthly fathers knew how to give good gifts to their children, their heavenly Father would certainly give good things to His children too (Matthew 7:11). You may say that all this is very elementary. Yet many times when we come to God in prayer we don't really believe that God is going to grant us our request, because we are not sure of His tender, loving, fatherly care for us. Thus we limit God by our unbelief. Do you really believe that when you pray, you are speaking to a loving Father Who delights to hear you and Who cares for you? Some may have the feeling that God will hear them only if they are mature saints. How is it with an earthly father? If he has a number of children, does he listen to his 20-year-old son more than to his 3-year-old daughter? Does he tell his little daughter, "You are too young to talk to me. I can't listen to you?" Certainly not. In fact, the father is more likely to listen to his youngest child than to His older children. It's even so with God. He says, "All shall know Me (as Father), from the least (youngest) to the greatest (oldest)" (Hebrews 8:11). Notice that the youngest are mentioned first! Even if you just became a Christian yesterday, you can come to God boldly saying, "O God, You are my Father, I am Your child, and therefore I have a right to talk to You." That's the way Jesus encouraged His disciples to go to God in prayer. Every time we pray, we must approach God as a Father who loves and cares, and who is interested in us. God is a good God. He delights to give good gifts to His children. The Bible says in Psalm 84:11, "He will not deprive of good things them that walk in innocence." In Psalm 37:4 it says, "Delight in the Lord, and he will give thee the requests of thy heart." These promises in the Old Testament are endorsed and confirmed and amplified by Jesus in the New Testament along with many more promises. This is the foundation for our faith - the conscious acknowledgment of God as our loving Father.